When the contraceptive pill became available to all women on the NHS in 1967, it was seen as a great victory for women’s liberation. It’s true that the pill has been a great asset to many women’s lives and has allowed them more sexual freedom. However, throughout its history there has always been controversy over the impact it has had on its users’ physical and mental health. Controversy which has most recently been targeted specifically at the combined pill, Rigevidon. Rigevidon is one of the cheapest pills for the NHS to hand out and it is therefore the one most commonly given to girls who are beginning to use contraception. Yet, if you visit any social media site, you will see countless posts from women sharing the traumatic things that they have endured at the hands of Rigevidon, from blood clots and tumours to depression. There is even a petition with an incredible 27,000 signatures asking for the pill to be banned. Moreover, and perhaps most alarmingly of all, if you google ‘Rigevidon’, the third most popular search is ‘Rigevidon death’. According to a Cosmopolitan article, healthy 21-year-old Fallan Kurek, died in 2015 of a blood clot after taking Rigevidon, having never been told about its possible side effects. When I first started taking Rigevidon I was told that I was a level two risk, due to someone in my family having had a stroke. A level two risk of what? I never found out. I was given a three-month supply without a single word about the pill’s possible side effects from the nurse. Upon giving the pill’s instruction leaflet a thorough read through, it is true that side effects such as blood clots, gallbladder disease, and kidney failure are outlined. They are also, however, written in an almost unreadable font and, because of the length of the leaflet, they will probably never be read by a large number of Rigevidon users. Moreover, there is no mention anywhere on the leaflet of the fact that Rigevidon has led to death. This is unacceptable. A full list of possible side effects (including death) should be explained to each patient, and these side effects need to be outlined in large, bold writing on the instruction leaflet. Not only has Rigevidon lead to drastic physical health problems, but it has also affected mental health. With the number of adolescents suffering from mental health problems constantly on the rise, surely it is neglectful to prescribe girls a pill which studies have shown is linked to depression, without first outlining the side effects and discussing other options with them. Paige, 20, describes how taking Rigevidon affected her mood, “It made me constantly feel emotional and down, even when I should have felt happy.” Despite the pill improving her heavy and painful periods, Paige was forced to stop taking it and now feels much happier. Problems caused by Rigevidon should not be accepted as a normality for young girls. It should not be common to scroll through Facebook and to see someone posting about how Rigevidon has messed up their lives. There are many alternative contraceptive pills which could be prescribed instead, and if Rigevidon still seems like the best option for a patient then its side effects should first be explained fully. Editor’s note: The Mancunion have contacted the Medicines and Healthcare products Regulatory Agency over the safety of Rigevidon, whose spokesperson said: “Women should continue to take their contraceptive pill. These are very safe, highly effective medicines for preventing unintended pregnancy and the benefits associated with their use far outweigh the risks. 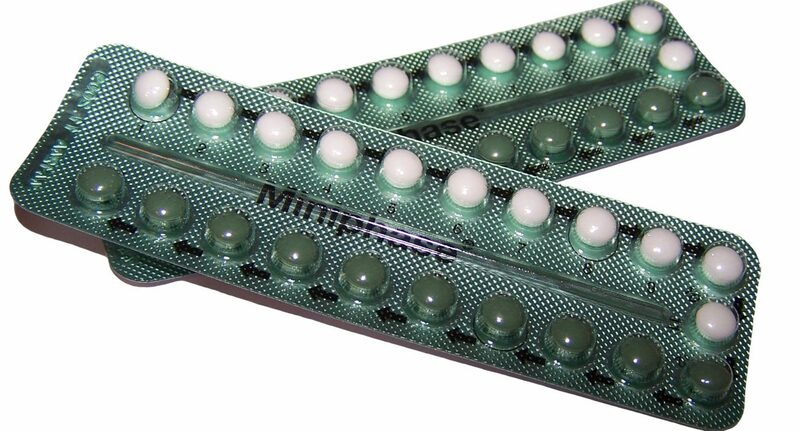 “The safety of contraceptive pills was reviewed at European level in 2014 and the review confirmed that the risk of blood clots with all contraceptives is small. “The benefits of any combined hormonal contraceptive far outweigh the risk of serious side effects – prescribers and women should be aware of the major risk factors for blood clots and the key signs and symptoms, which are clearly described in the package leaflet. The Mancunion also contacted Gedeon Richter, Rigevidon’s manufacturer, whose spokesperson added: “Patient safety is a top priority for our company. Besides complying with the most stringent regulations of pharmaceutical manufacturing and conducting rigorous quality testing during the manufacturing, we are committed to continuously review the safety profile of our products. “All adverse event cases that we receive information about are being registered in the company’s drug safety database, investigated thoroughly and reported to the relevant health authorities according to the applicable regulations. We are working closely with authorities to assess the conclusion of these investigations and act upon in case it is necessary.